Quick reference guide for the esp12-e GPIO pins. Bellow you will find the pins that can be used directly and are not set to “HIGH” by default. Probably you will be able to use more of the pins i’m going to describe here with some tinkering, but this is not the subject of this article. The document below contains the specs and basic info for ESP12-E WiFi module. The following picture contain details about all the esp12-e GPIO pins and their purpose and was taken from simba-os. It is a good reference point for all my projects. First let’s define the term “directly usable GPIO pin“. 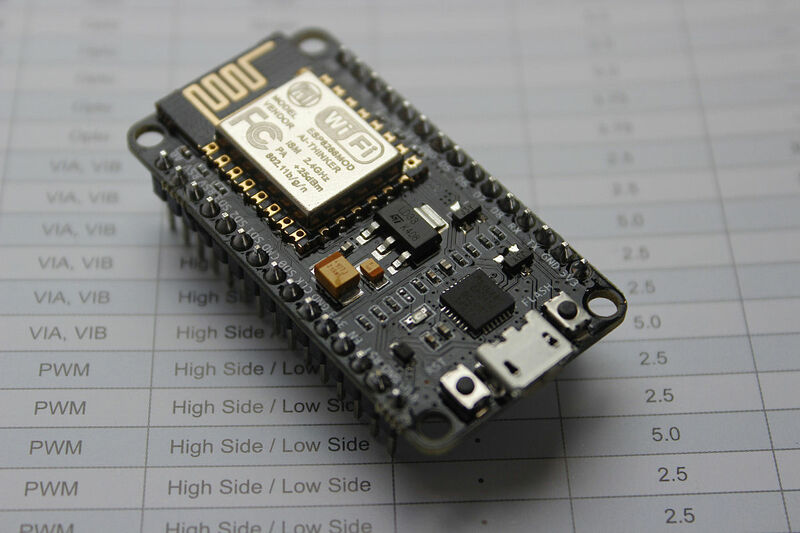 Directly usable pin is any pin of esp12-e which will work without any hardware or software modification. Any pin on which an output (e.g. led) or an input (e.g. temperature sensor) can be connected without any special effort, can be considered as considered directly usable. All the pins on the following image are tested and can be used as described above. If the pins that described as usable does not work, or if there are more directly usable pins that I missed, please let me know. 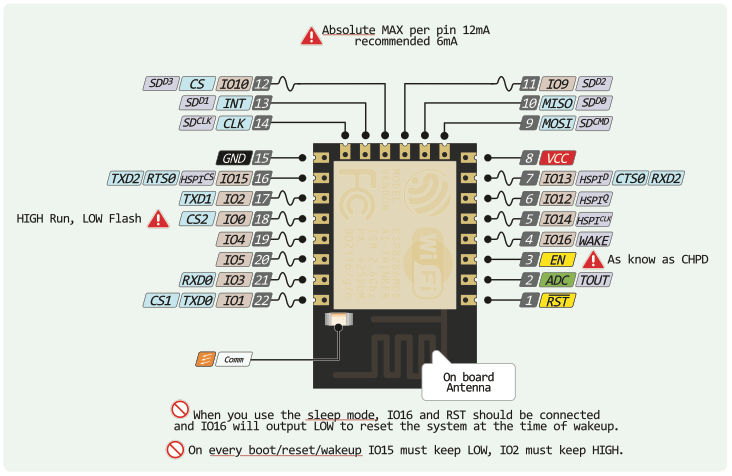 GPIO 16 D0 can be used to wake up the chipset from deep sleep mode.